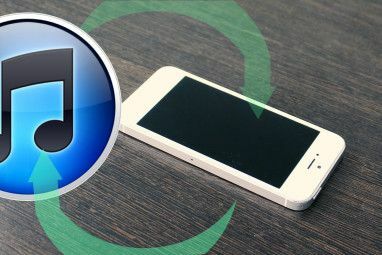 An Apple ID allows you to obtain apps, iTunes downloads and more, which is required to get the full mobile experience if you own an iPhone or iPod Touch. After all, how can you not? There are lots of goodies on the App Store that you shouldn’t miss out. On this page, you’ll effectively see 108 of the best (most are free! ), hand-picked by our very staff, and broken down in 14 categories. A lot of times when you’re purchasing loads of apps, you may run into issues with your Apple ID. You may discover that a cool and exciting app, for example, turns out to be offered only in another country. But worry not. Jeffry posted a detailed article How To Create A US iTunes Account (& Access US-Only Contents) Without A Credit Card How To Create A US iTunes Account (& Access US-Only Contents) Without A Credit Card Due to copyright issues, the iTunes Store 'discriminates' against users based on their geographical location. While the US and a few other selected iTunes stores have all the goodies, other countries are extremely limited. To... Read More on how to create a US iTunes account without a credit card to access US-only items (and judging from the comments in that post, the method seems to work for many people around the world). 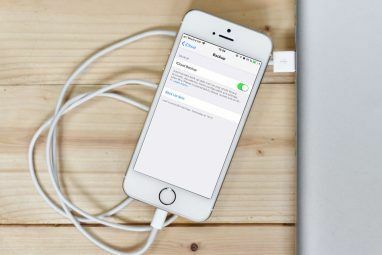 If you want to know how to change an Apple ID by either changing your current ID or switching to another existing ID, read on. First, let’s verify the account that you are currently using for iTunes and App Store purchases. Open either the iTunes or the App Store in your iPod, navigate to the bottom of the page you’re on. If you’re on an App Store product page for an app, simply go back to the main screen or tap on Categories or Top 25 (where you can see Top Paid, Top Free and Top Grossing apps) and just navigate down. If you have ever purchased an app, even a free one, you have had to either create a new Apple ID or sign in using an existing ID. If you’ve created one in the past, you’ll see your current Apple ID at the very bottom of the iTunes or App Store. Now that you’re sure what account you’re dealing with, press the Home button and launch Settings. Navigate down to Store and tap on it. You’ll see two options: View Apple ID and Sign Out. If you tap on View Apple ID, you will see the payment information associated with your account (things like credit card information, billing address and phone number). You can also see which country’s iTunes Store you’re buying from. If you choose to change your Country or Region, you’ll need to follow the on-screen instructions, agree to the terms and probably even change your billing information. If you’re looking to change your Apple ID email, you can tap on your current Apple ID, and you’ll be presented with your email, password, security questions, etc. If what you’re seeking is to sign in with another existing Apple ID, simply go back and tap on the Sign Out button and you’re well on your way. When you’ve signed out, the next time your are purchasing apps or iTunes Store items, it will promptly ask you to sign in. If you’re on your actual computer and thus, enjoy the glory of a full-sized keyboard, you can change your Apple ID email address, password, billing information and all that other good stuff by launching iTunes on your desktop. Head to Store > View My Account (some email here). 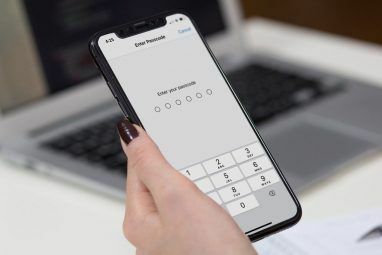 You will need to enter your password for verification, after which you’ll be presented with all the information Apple has for your account, which you can readily edit. You can also head to the Apple website (appleid.apple.com) to manage and change your account information if for some reason you’re not on your primary computer. Have you ever had to change Apple IDs on your iPod or iPhone? Let us know about your experience in the comments! Explore more about: iPod, iPod Touch, iTunes, iTunes Store. I can't remember my Apple ID password so I decided to make a new Apple ID account but I need to know something, will it have any affect on my iPad and it's system if I change Apple ID? Even tho i changed the apple id and password and am not logged in (this is on my iPod touch) it still says i'm connected to my old apple id when i go to update apps and it wants the password for that apple id. What did i do wrong?? Thank you SOOOOOOO much - I upgraded my iphone 3GS to iOS5 and have been beside myself trying to link to my to my iTunes account. All the Apple 'Help' just had me going round in circles, so your guidance has been invaluable. Thank you, thank you, thank you. Have you tried the password recovery process? If that doesn't help, try asking on //www.makeuseof.com/answers. I change my E-mail with apple id because my old one i can't use anymore . I try go to apple id i can't not how i do ? Are you trying to log in at id.apple.com or iTunes? I needed to change my Apple ID because I got a new email address, but on my iPhone it keeps wanting to use my old Apple ID and I can't figure out how to get it to change to the new ID. So I can't access anything from ITunes or iCloud because it is saying my password is wrong - but that's because it has the wrong Apple ID. Any suggestions? Thanks! Is your new Apple ID completely set up? If it is, then you could sign out of your account in your iPhone's Store settings (as per this article's instructions) as well as in iTunes (go to Store in the menu bar > Sign out). Then log in with your new account. After numerous calls to Apple didn't clear the situation, and online tech support proved inadequate to the task, THESE instructions did it! Thanks so much, Jessica! I used a gift card creat my account. And I accidentally put the wrong email And can't verify it. how can I change it from there? Does that mean your account wasn't created completely and you can't even log in? If so, that sounds like you could just create a new account, but I would make sure by emailing Apple support first. Thank you Jessica, this sorted my I'd, numerous calls to apple the last few days and didn't help. So glad I came across your clear instruction above. 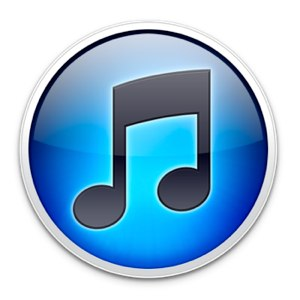 Have you tried the iTunes Desktop instructions in this article? Thank you for providing the only answer on Google to my problem! I have recently authorized a new iphone but with a sim card with a certain number in and then i created an apple ID with that mobile number linked with it and now I have put a different sim and a different number in and my old number is still linked with my apple ID, do you know how to change the mobile number for your apple ID or ought it to do it automatically? I'm not sure at all. Have you tried asking on MakeUseOf Answers at //www.makeuseof.com/answers or on Apple's forums? Hmm, not exactly sure why that's happening.Have you tried restarting your iPhone/iPod? Thanks Jessica, Saved me from a massive stress out. Just couldn't figure it out. I feel like an idiot you make it seem so simple. You're welcome! Thank you for taking the time to comment.